Why does the HTML fullscreen API ask for approval after entering fullscreen, rather than before? The HTML fullscreen API is a little different from other JS APIs that require permission, in that it doesn't ask permission before entering fullscreen, it asks forgiveness *after* entering fullscreen. Firefox's fullscreen approval dialog, which asks "forgiveness" rather than permission. The rationale for having our fullscreen API implementation ask forgiveness rather than request permission is to make it easier on script authors. 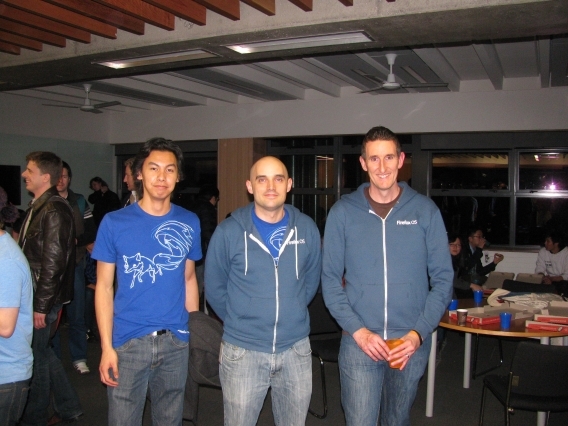 When the original API was designed, we had a number of HTML/JS APIs like the geolocation API that would ask permission. The user was prompted to approve, deny, or ignore the request, though they could re-retrieve the request later from an icon in the URL bar to approve the request at a later time. Geolocation approval dialog, from Dive Into HTML's geolocation example. The problem with this design for script authors is that they can't tell if the user has ignored the approval request, or is just about to go back and approve it by bringing up the geolocation door-hanger again. This model of requesting permission has been seen to cause problems for web apps in the wild using the geolocation API. Often if a user ignores the geolocation permission request, the web app doesn't work right, and if you approve the request some time later, the site often doesn't start working correctly. The app just doesn't know if it should throw up a warning, or if it's about to be granted permission. So the original developers of the fullscreen spec (Robert O'Callahan, and later I and others were involved), opted to solve this problem by having our implementation ask forgiveness. Once you've entered fullscreen, the user is asked to confirm the action. This forces the user to approve or deny the request immediately, and this means that script will immediately know whether fullscreen was engaged, so script will know whether it needs to take its fallback path or not. Note that the specification for requestFullscreen() defines that most of the requestFullscreen() algorithm should run asynchronously, so there is scope to change the fullscreen approval dialog to being a permission request before entering fullscreen instead if future maintainers, or other implementors/browser, wish to do so. Several years ago my Dad came to me and asked me how to rotate a video he'd recorded on his camera. He'd turned the camera sideways to record a video of someone standing and talking (in portrait orientation) but when he played the video back on his computer it was rendered in landscape orientation by his media player, i.e. not the same we he'd shot it, so the picture was rendered off by 90 degrees. My Dad was running Windows XP, and so didn't have a platform video editor, so I set about making one. 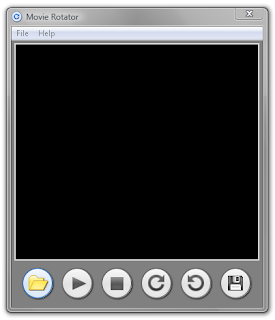 I built and released Movie Rotator version 1.0, in March 2008. I learned a lot, and I shipped my own first complete product. By May 2010 I was consistently getting 4,000 downloads per month. 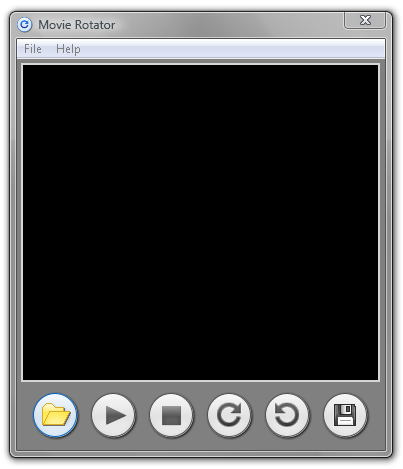 Movie Rotator 1 was free and open source, and used the Quicktime runtime to set a rotation matrix in the MP4/MOV container causing the video to be rotated by the media player. It was a simple solution, and didn't require the video the be re-encoded, but some media players didn't honour that matrix stored in the container, so it didn't work for some video players. Most notably YouTube. There were other problems that became apparent later too. I never wanted to charge for Movie Rotator 1, I was never sure whether it would take off, if there would be enough demand for it. Fast forward to late 2012, and I learned how to use Windows Media Foundation to playback videos as part of my H.264/AAC/MP4 support work in Firefox on Windows. I had been looking forward to being able to learn this on "company time", as I could then use those skills in making Movie Rotator 2, a newer version that reencoded the videos rotated, to solve all the problems in version 1. Movie Rotator 1 was still getting 4000 downloads per month, and had steady Google Adsense income. Competitors existed. They charged for their software. 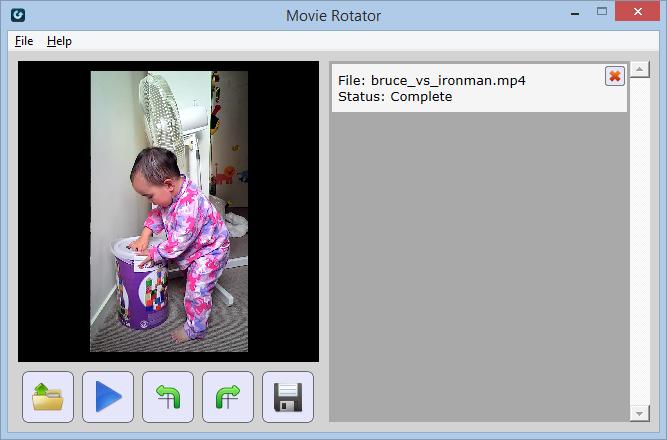 In January 2013 I started work on Movie Rotator 2. This time I intended to try selling it, to make some money for my family. After months of work I had learned a huge amount working on Movie Rotator 2. I learned all about about encoding and playback with WMF. I also had to learn about Direct3D9, Direct2D, and a bunch of other C++11x features. I learned a little about crypto and how software license keys are made and validated. I also learned to ruthlessly prioritize. In the evenings I was exhausted from work and parenting, so I saved the hard problems for Saturdays when I worked on the weekend. Of course that would be greatly inconveniencing my family. So I spent my time carefully. Then in August 2013 I checked my websever's logs again. They were down, way down. I was down to only 1900 downloads per month. Traffic was dropping steadily. In all likelihood, I extrapolated and Movie Rotator didn't have long left. I'd always assumed that Movie Rotator was a product only good for a few years, but I'd expected a few more yet. What to do? Development of the software was almost finished. I'd been on the cusp of engaging an accountant to incorporate and a lawyer to sort out a software license/purchase agreement... But now I wasn't certain I'd recoup the expense. I was gutted. I'd sacrificed so much, and rolled up snake eyes. So I released a free version of Movie Rotator 2 in September 2012, and today scrubbed the code and committed it to posterity as open source. Movie Rotator 2's code is now available on GitHub. I benefited greatly building this product. I learned an awful lot, way more than on Movie Rotator 1. I really learned how to focus and prioritize. But it is still a bitter pill; all the sacrifice I made, to not achieve my goal. The hard drive on wife's HP Spectre XT Envy Ultrabook died last weekend. Once we ran scandisk on it we realised it had about 20% bad sectors. It was easy enough to replace, but I learned a few things that would make it easier for others, and I didn't find any info by others who had faced this. Unscrewing the laptop's case's screws is easy. First thing, the hard drive is actually an mSATA disk. I was expecting a 2.5" SSD when I opened up the case, but mSATA drives are only about as big as a matchbox, and a few millimetres high. And the trick to opening up the case is to use a small flathead screwdriver and twist it to cause the fastenings to unlock. Having two screwdrivers also made things easier; leaving one wedged between the top and bottom of the case in while levering the other made it easier to open the case. Twist the screwdriver to quickly separate the laptop shell. Installing the new mSATA drive in our HP Spectre XT. Secondly we didn't have a recovery media. Things would have been a lot easier if we'd created one before the disk failed! We could have flashed either a DVD or a USB pen drive using the system recovery media tool that HP ships, but the internal drive was already too far gone by the time we tired to do this, so it failed. Also, when the tool says it requires a minimum of 16 GB free space on a USB drive to create a recovery media, it means it. We bought a 16GB pen drive, and ended having to go back to the store for a 32GB one (and then the recovery media creation failed because of the bad sectors on the laptop's drive). Moral of the story: create a recovery media before the disk fails, and don't buy a USB pen drive less than or equal to the specified minimum requirements when creating a recovery media. You'll have a bad time. Thirdly I made the mistake of buying a replacement mSATA drive that was smaller than the original, the replacement mSATA I bought was 240GB, whereas the original 256GB. This meant that Clonezilla refused to clone the old drive onto the replacement drive, even though we had plenty of empty space on the disk. And I had to run Clonezilla with some special parameters to ignore the bad sectors, which would be intimidating for some people I'm sure). Moral of the story: don't buy a replacement smaller than the original. You'll have a bad time. All in all, replacing the drive was easy enough, I could have made it easier by creating a recovery media before the disk failed, and by buying a replacement mSATA drive that was not smaller than the original. What does the H.264/avc1 codecs parameters for video/mp4 mime types mean? The HTMLMediaElement.canPlayType() API enables you to query what video formats a user agent can play. For "video/mp4", the container for H.264/AAC, you can specify a "codecs" parameter that denotes the the H264 profile and level. Firefox doesn't currently handle MP4 codecs parameter very well, so I took it upon myself to figure out what the codecs parameters mean for H.264. These fields are defined in in Annex 1 of ITU-T H.264 and ISO/IEC 14496-10:2012 twinned standards. ITU-T H.264 can be downloaded for free. So for example, avc1.4D401E has a profile_idc of 0x4D, which is 77 in decimal, so it's main profile. constraint_set flags are encoded as a bit flags 6 bitfields named constraint_set0_flag through to constraint_set5_flag. The meaning of a constraint_setN_flag being set depends on the profile being represented. The bits are stored in with constraint_set0_flag in the high bit, and so there are two padding 0s in the low bits. So for example, avc1.4D401E, the contraint_set flags are 0x40, so that's 01000000b, thus this means constraint_set1_flag is set. The level number, level_idc, is defined as fixed point, from 1 to 5.2, with an oddball 1b level, as defined in ITU-T H.264 in Table A-1 - Level Limits. The level_idc is encoded in the codecs parameter as 10 times the level number, i.e. level 5.1 is represented as decimal 51, or 0x33 hex. So continuing our example avc1.4D401E, the level_idc is 1E, or 30 decimal, so level 3.0. Level 1b is an oddball encoding, and is encoded as 11 decimal with the constraint_set3_flag equal to 1. If the constraint_set3_flag is not equal to 1, level 1.1 is encoded. Microsoft also conveniently define this in the eAVEncH264VLevel enumeration. On Saturday Mozilla sponsored the Auckland site of the New Zealand Programming Contest. 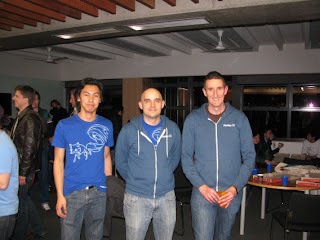 We supplied t-shirts for the participants, competed in the competition, and we provided pizza for dinner afterwards. Word must have got out that we were giving away swag, as the contest had double the normal participants than usual, around 120 people, and we ran out of t-shirts! I've been wanting to do this for a while. I learned a lot about coding during training for the programming contest while I was at university, so I think it's a great way to encourage the next generation to hone their skills. We're also looking for interns to join us over the summer, so I also took the opportunity to make a plug for our 2013 Mozilla Auckland Internship intake. I think it's a good way to get targeted exposure to the types of people we want to hire too. 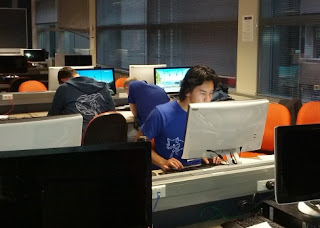 We did well in the competition too, largely thanks to Edwin Flores, who formerly represented Australasia at the ACM Programming Contest world finals a few years back. Go Team! I have been hard at work getting our H.264 support on Windows Vista and later hardware accelerated using DXVA2. I'm happy to say that this finally landed in Firefox 23 Nightly builds. With this patch we'll use the GPU to accelerate H.264 video decoding when possible on Windows, which greatly reduces our CPU and power usage. If you spot a bug in H.264 video in Firefox Nightly builds, please file a bug in Core: Audio/Video. Bonus points if you toggle the pref "media.windows-media-foundation.use-dxva" to false, reload the video, and tell me whether the bug still happens! H.264/AAC/MP3 support on Windows 7 and later is shipping in Release builds in Firefox 21 next week, Vista gets it in Firefox 22. Edwin Flores is working on our H.264/AAC/MP3 support on Mac and Linux. I'm currently working on getting MP3 support for Windows XP using DirectShow, it will probably land next cycle (Firefox 24).